The field of survival horror is beginning to expand away from the usual third person view that was featured in older Resident Evil and Silent Hill games and is starting to merge its way in to the first person aspect more. Games like Silent Hills and Resident Evil VII are AAA proof of this concept, but now there are also indie developers creating games in this way as well. The team behind Sandbox Studio are creating their second game called The Dreamer. 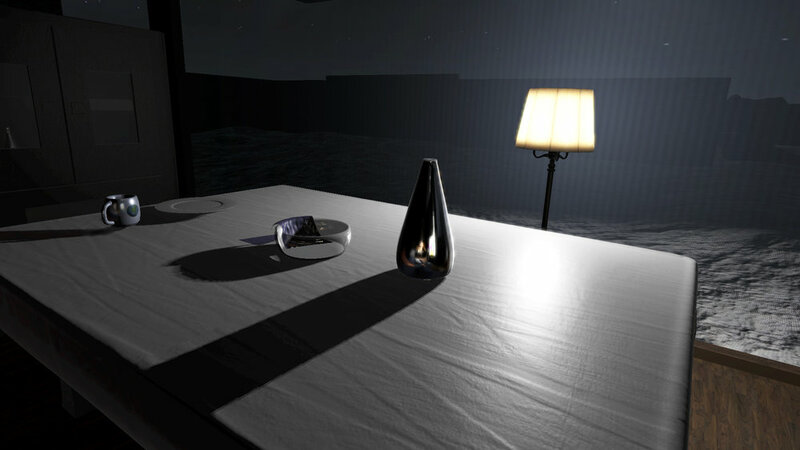 This game will feature a first person aspect to the reality questioning game with a story that dives deep in to the heart. You will play as Jack, a man who finds himself merging with surrealistic dreams that will push him into taking drastic measures to discover the truth behind his wife’s disappearance. The game play featured in The Dreamer is going to be avoid and defend style with a touch of monster hunting. While you will mostly want to evade and maneuver around the enemies you can encounter in this game, you will be able to fight back and take them down if necessary! But it is advised to be as sneaky as you can be, as weapons will not always be very effective. What inspired this game to be made? What drives your team to create games like The Dreamer? How many weapons will the player have to defend themselves? “Environment will be full of items that players could use as a weapon, though it’s effectiveness may not be very high. There also will be limited dedicated weapons." What is the overall objective of the player? What can players expect when they play your game? What aspect of horror will this game feature most?